Running Press Adult, 9780762450992, 272pp. Vivien Leigh's mystique was a combination of staggering beauty, glamour, romance, and genuine talent displayed in her Oscar-winning performances in Gone With the Wind and A Streetcar Named Desire. For more than thirty years, her name alone sold out theaters and cinemas the world over, and she inspired many of the greatest visionaries of her time: Laurence Olivier loved her; Winston Churchill praised her; Christian Dior dressed her. Through both an in-depth narrative and a stunning array of photos, Vivien Leigh: An Intimate Portrait presents the personal story of one of the most celebrated women of the twentieth century, an engrossing tale of success, struggles, and triumphs. It chronicles Leigh's journey from her birth in India to prominence in British film, winning the most-coveted role in Hollywood history, her celebrated love affair with Laurence Olivier, through to her untimely death at age fifty-three in 1967. 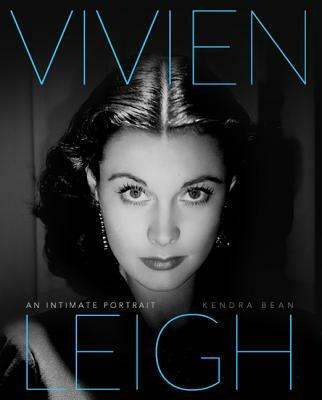 Author Kendra Bean is the first Vivien Leigh biographer to delve into the Laurence Olivier Archives, where an invaluable collection of personal letters and documents ranging from interview transcripts to film contracts to medical records shed new insight on Leigh's story. Illustrated by hundreds of rare and never-before-published images, including those by Leigh's official” photographer, Angus McBean, Vivien Leigh: An Intimate Portrait is the first illustrated biography to closely examine the fascinating, troubled, and often misunderstood life of Vivien Leigh: the woman, the actress, the legend. Kendra Bean has an MA in Film Studies from King's College London. Her writing on Vivien Leigh and cinema has been published in numerous film publications and she has participated in the production of numerous festivals, exhibits, and documentaries relating to classic film. She is the designer and editor of vivandlarry, an online historical archive and blog dedicated to Vivien Leigh, Laurence Olivier, classic Hollywood, and world cinema. Kendra resides in London, England. "A worthy tribute to an eternally fascinating star."